On the face of it Scotland is fertile rewilding ground. From a human population of around 5.3 million, around one third of people live in just a handful of major cities, leaving the rest of Scotland’s 80,000 sq.km. sparsely populated by European standards. In 2016, beavers were given native species status after reintroduction to Scotland. The Scottish Highlands, an area covering around half of the country, is a rugged region of wild mountain and moorland and supports a population of just 350,000, or roughly 8 people per sq.km. With on-going depopulation of the more remote Highland areas, the fragility of some rural communities is ever-present. You might imagine therefore that rewilding, with all the ecological, social and economic benefits it can bring, would be seen as a platform for reinvention; a springboard for rural revitalisation; an opportunity to be grabbed by both hands. You’d be wrong and the tortuous debate over returning beavers to Scotland, offers a clue as to why. 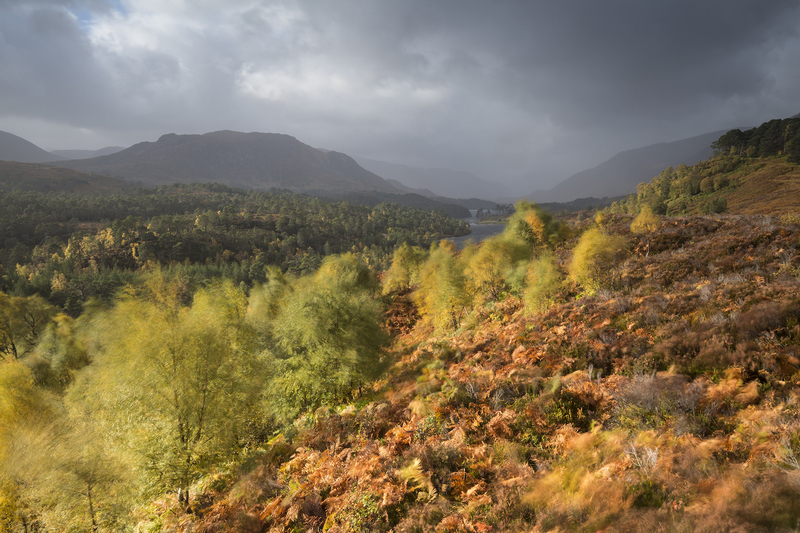 Glen Affric is one area in the Scottish Highlands that has been extensively rewilded in recent decades. Consider this list of countries: Austria, Belgium, Croatia, Czech Republic, Denmark, Estonia, Finland, France, Germany, Hungary, Italy, Latvia, Liechtenstein, Montenegro, Netherlands, Poland, Romania, Serbia, Slovakia, Slovenia, Spain, Sweden and Ukraine. 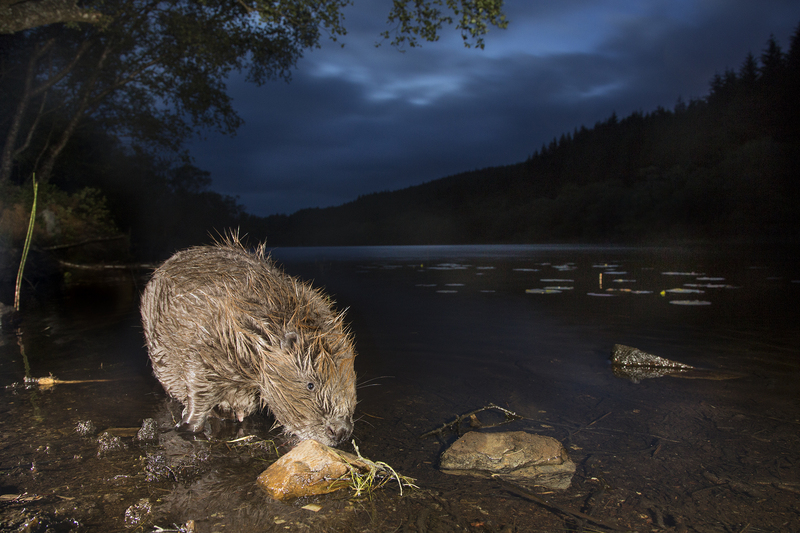 Each of these nations – most much more crowded and industrialised than the Scottish Highlands – has got on with the research, got on with the trials and got on with returning beavers to their landscapes. Germany now has 30,000 beavers. France 15,000. 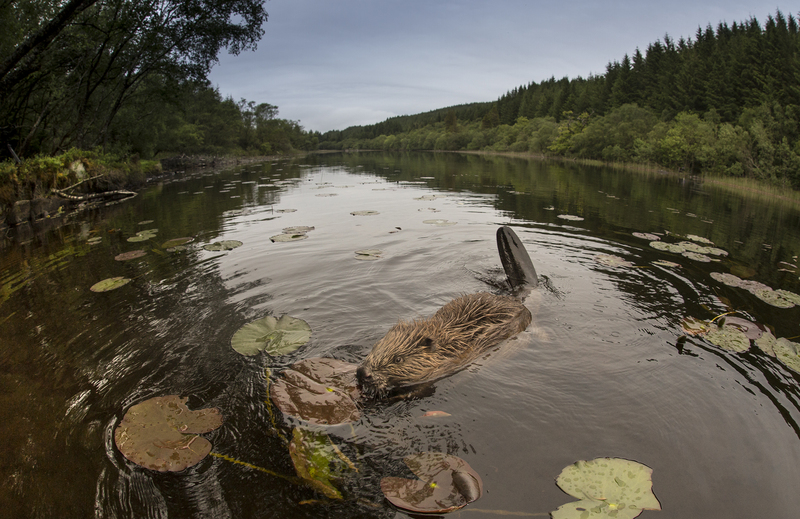 Here in Scotland, after 20 years of debate and a £2m five-year trial, the Government has recently finally approved beavers as a native species and allowed those few animals that exist here to remain. So why has it taken so long to get beavers back and why, in many circles, is rewilding viewed with such suspicion? Scotland with its near-natural river systems and chains of freshwater lochs is perfect for beavers and yet the process of restoring them has been laboured. The reason, in my view, has very little to do with beavers. Whilst the ecological case for rewilding is beyond debate in a country that has been burned and bitten to a frail shadow of its former self, resistance to rewilding – and beavers – comes from the threat of change. People don’t like change; especially when that change is perceived to be forcefully imposed. The strong Highland traditions of deer stalking, grouse shooting and crofting have created a barren landscape, bereft of the biotic communities that once kept it alive. Many traditionalists would argue that this landscape should not only be conserved but celebrated; that the Highlands aren’t broken so why try fixing them? This entrenched perspective is entrenched further by the notion that the “establishment” – those public sector academics and administrators who understand little of rural life – is forcing its will on communities that see no justification for change. The arrival of beavers is perceived as the tip of the iceberg and what next? Wolves? The media in its constant quest for conflict and sensationalism is quick to re-enforce that narrative and further alienate an already sceptical audience. 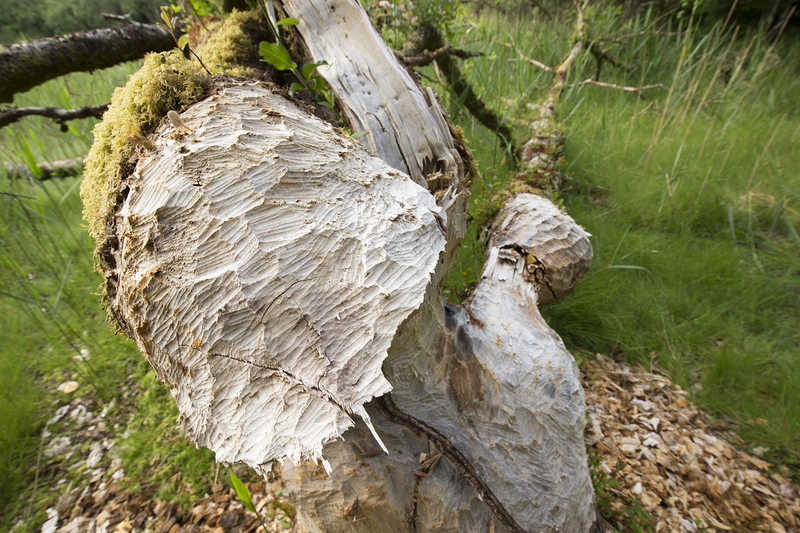 Alder tree felled by Europan beaver, Knapdale Forest, Argyll, Scotland. This cultural stand off between a utilitarian perspective founded on old, sometimes Presbyterian belief systems and a new, environmental altruism founded on very different values is not unique to Scotland and its beavers. In many ways the beaver is simply a pawn in a clash of cultures, one that plays out in environmental arenas around the western world. Across the wildlands of North America, debate over grizzly bears, elk numbers, hunting rights, mineral extraction, recreation access and myriad other issues have raged for decades. Closer to home, opposing cultural philosophies have recently come to the fore in Norway over its proposed wolf cull. Many Norwegian farmers and hunters want wolves eliminated whilst others – new thinkers, perhaps with greater sympathy for ecological processes – want wolves to stay. This is not about grizzlies, wolves, or beavers; this is about who controls the rural landscape; what it looks like and whom it serves. 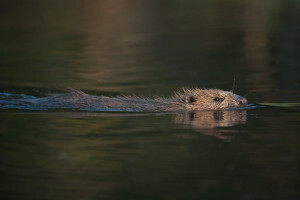 Returning to Scotland, although the Government has “allowed” beavers to stay, their numbers are low and their range restricted, prompting inevitable calls from conservation groups for further reintroductions. Ecologically speaking, that would of course make sense but politically – and let’s be clear these decisions are entirely politically motivated – that runs the risk of further alienating those who already resent beavers as an imposition on their way of life. Scotland then, remains wary of rewilding. More accurately perhaps, it is wary of change. It is certainly not unique in that respect but the patterns of land ownership and management here are very different to other countries. The result is that restoring native woodland, revitalising extensive areas of peatland and yes, returning species that could help bring the Scottish Highlands back to life, is a slow process – physically but more importantly, philosophically. Beavers create new wetlands and restore native woodland while improving conditions for a wide range of species. Beavers are now going about their watery business for the first time in 400 years and given time, will become part of Scotland’s landscape. For those of us wedded to the vision of a wilder Scotland with more life – human as well as non-human – we have to accept that change is never easy. 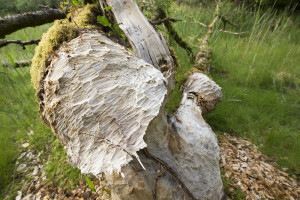 Returning beavers to the wider Scottish landscape requires the winning of hearts and the unlocking of minds, showcasing successes and learning from mistakes. That can be a slow and frustrating process but further “dewilding” is surely not an option? We cannot carry on losing species and habitats, disrupting natural processes, contributing to an acceleration in climate change and hoping that the fortunes of fragile rural economies will miraculously turn around? The road ahead for the Scottish Highlands remains uncertain but without rewilding, that road will ultimately lead to a dead end. Based in the Scottish Highlands, Peter Cairns is a conservation photographer who has been using his images to inspire and inform for almost 20 years. Peter was co-founder of projects such as Tooth & Claw, Highland Tiger, Wild Wonders of Europe and more recently, 2020VISION. Peter is a director of The Wild Media Foundation, the Social Enterprise behind SCOTLAND: The Big Picture, a multimedia initiative focused on rewilding. Peter is a serving Board Member of Trees for Life and is a Senior Fellow of the International League of Conservation Photographers.